There’s no doubt that by now you’ve heard of the next big fad in craft brewing, the New England IPA or “NEIPA”. If you’ve been on Instagram or Facebook recently, your feed has probably been dominated by glasses of a opaque yellow beer, with captions like “juicy”, “haze”, and “dank”. This controversial new style of beer, went from being completely unknown to virtually everywhere in a matter of months. This is probably largely because the hazy, “juicy” NEIPA, with its creamy mouthfeel and restrained bitterness, appeals to a larger demographic of beer drinkers than the dry and bitter West-Coast IPA. 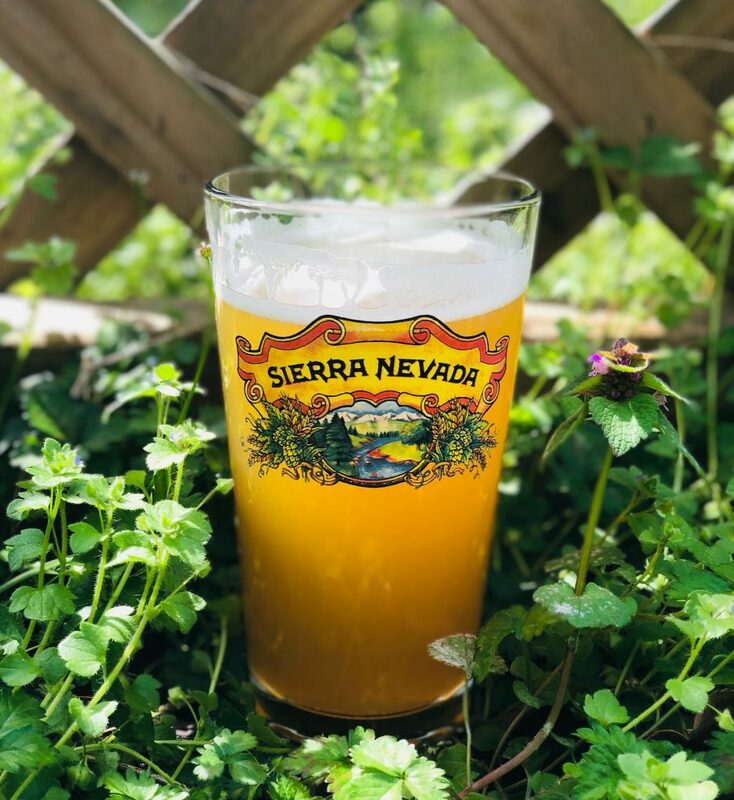 While NEIPAs are rapidly gaining popularity, the style is polarizing, with many craft beer aficionados denouncing the hazy, opaque appearance as an undesirable result of unrefined brewing methods. Fans claim that the haze is created purposefully and creates a desirable mouthfeel and “juiciness”. So, What is a NEIPA? NEIPAs are pretty easy to spot based on their light, straw to deep golden color and their hazy, opaque appearance. They have a low to very high degree of cloudiness. They have a strong hop aroma with dominant tropical fruit notes. NEIPAs are fruity in flavor with citrus notes reminiscent of juicy, ripe tropical fruit and are far less bitter than a traditional IPA. In fact, there is little to no bitterness on the finish, far different than other styles of IPAs. They have a soft, creamy, even silky mouthfeel, another substantial departure from the dry mouthfeel typically associated with IPAs. While they aren’t bitter and may be perceived as sweet, NEIPAs do not generally have a large amount of unfermented sugar in them. Instead, the perceived sweetness is a result of the lack of bitterness and the mouthfeel. From a brewer’s perspective, the style has more specific defining characteristics based on the water chemistry, grains, hops, and yeast. The water used in the brewing of a NEIPA tends to have a high chloride to sulfate ratio, with calcium chloride providing the “wet” character that separates the NEIPA from the dryer West Coast style. NEIPAs are brewed from mostly neutral base malts, and avoid specialty malts, especially crystal malts which impart a caramel flavor that is deemed undesirable for the NEIPA style. The body, haze, and creamy mouthfeel are achieved through the use of unmalted higher-protein grains such as flaked oats and flaked wheat. They generally have an original gravity between 1.060-1.070, and an ABV of approximately 6.3%-7.5%. In general, a NEIPA’s flavor is completely dominated by the hops, and the malt used should not overwhelm the flavor of the beer. NEIPAs utilize more modern, non-traditional hop varieties, including Citra, Galaxy, Mosaic, Azacca, and El Dorado. They are low in bitterness, with an IBU ranging from about 50-70. In addition to the specific hop varieties used, the hopping process for a NEIPA is in stark contrast to the hopping process for a normal IPA. To avoid bitterness, brewers may utilize First Wort Hopping, but also avoid adding hops to the wort during the boil. Hops are only added in the last 15-20 minutes of the boil, during the knockout, and during the whirlpool. NEIPAs are heavily dry-hopped, even in primary fermentation, with multiple additions of hops throughout the process. While the style is less bitter than a traditional IPA, there should not be a high amount of unfermented sugar in the beer, and it should not be syrupy sweet, even if there is a perceived sweetness from the smooth body and lack of bitterness. NEIPAs also tend to be fermented with English-style yeasts rather than the traditional American ale yeasts that are used in a standard IPA. London III ale yeast (Wyeast 1318) and White Labs WLP095 (Burlington Ale) seem to be the most popular yeasts for homebrewing a NEIPA, but other dry English ale yeasts are also widely used. Love them or hate them, the NEIPA is definitely going to be around for a while. The explosion of interest in the style among brewers and the rapid acceptance of the style by consumers indicates that there is a market for an IPA that appeals to a larger group of beer drinkers than just the diehard hopheads. Homebrewers seem to be taking a particular interest in brewing this style. Combined with the fact that the style has now been officially recognized by the Brewer’s Association, it’s safe to say that it’s time to embrace the haze. Have you brewed a NEIPA? Leave a comment below and let us know how it turned out! If you’re interested in giving it a shot, check out the Recipes page or ask questions in the Forums.